The average price for this game in the past 6 months is $7.12. The game first became 50% off on Mar 11, 2014 at G2A. Lowest historic price was $4.49 on Mar 3, 2018 at Steam Store. Thief is now at historic low price of only $4.49 thanks to Steam Store's Square Enix publisher sale. While the game didn't exactly blew out the sales chart back in 2014, reception was decent among gamers. If you enjoy stealth FPS titles, or even the series - this is worth checking out at only $4.50. Thief chopped to under $5 at GMG. Lowest price ever and 84% off the usual $30 MSRP. GamersGate has Thief on PC Download for only $7.50 until tomorrow. Not the lowest price we've seen ever on this game but this is the lowest online at the moment. Daily deal at GMG gets you 2014's Thief at the lowest ever price spotted. Add 72 more cents and you'll get the Master Thief Edition which comes with digital artbook/comic, booster DLC pack, and digital soundtrack. Is the 2014 released Thief at $10 a steal? Reviews are decent enough with a 70/100 on Metacritic... That's sorta mixed but for a 2014 game you'd think you'd have to pay at least $20. This makes it cheapest ever by about $3 and $19.80 off the usual $29.99 list price. The average price for this game in the past 6 months is $7.43. The game first became 50% off on Apr 15, 2014 at Green Man Gaming. Lowest historic price was $5.15 on May 15, 2015 at Green Man Gaming. Thieft Master Edition returns to lowest ever price for the next 24 hours. For 60 cents less you can get the regular edition, but we think this is worth it and big spenders like you can afford it. Solid 30% off coupon code working on Thief at GMG. The Thief: Master Thief Edition not only has $5.30 in instant savings but also the coupon for an extra $14.30 off - a new low by $2.38. The Master Edition includes The Bank Heist, Digital Art Book, Digital Comic Book, Booster DLC Pack, and Digital Soundtrack for about $1.90 more than game alone at GMG ($31.50). The average price for this game in the past 6 months is $2.03. The game first became 50% off on Jun 4, 2014 at GamersGate. Lowest historic price was $0.98 on Mar 3, 2018 at Steam Store. The average price for this game in the past 6 months is $1.58. The game first became 50% off on May 29, 2014 at NewEgg. Lowest historic price was $0.97 on Mar 3, 2018 at Steam Store. The average price for this game in the past 6 months is $1.66. The game first became 50% off on Dec 24, 2013 at Amazon. Lowest historic price was $0.97 on Mar 3, 2018 at Steam Store. The average price for this game in the past 6 months is $5.33. The game first became 50% off on Jun 2, 2014 at GameFly. Lowest historic price was $3 on Mar 19, 2019 at Microsoft. Looking forward to the upcoming Februrary 25th release Thief on a next gen console? NewEgg has the first preorder discount available today with a $10 off coupon code. The coupon will work on the Xbox One, PS4, PS3, and X360 platforms. The average price for this game in the past 6 months is $3.99. The game first became 50% off on Jun 2, 2014 at GameFly. Lowest historic price was $2.99 on Jan 19, 2018 at PlayStation Store. 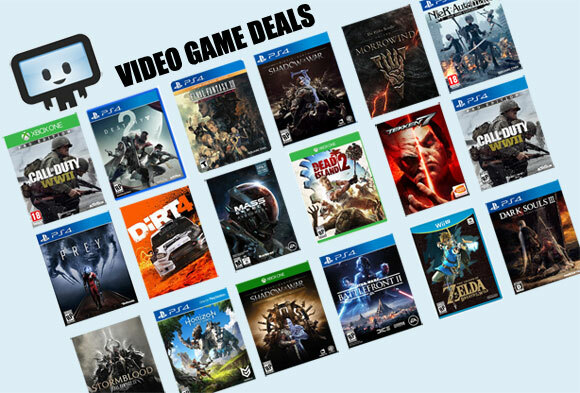 If you don't mind buying a pre-owned video game, Thief on the Xbox One, PS4, X360, and PS3 dropped to $20 with free ship on GameFly. Lowest price ever for the console versions. Note: Sign in or create an account to see the final discount price. The average price for this game since released is $17.59. The game first became 50% off on Dec 30, 2014 at Green Man Gaming. Lowest historic price was $3.65 on Mar 11, 2015 at Green Man Gaming.